masala lassi is a sweet and cooling drink made using yogurt and spices. masala lassi recipe – i made this masala lassi for holi festival. 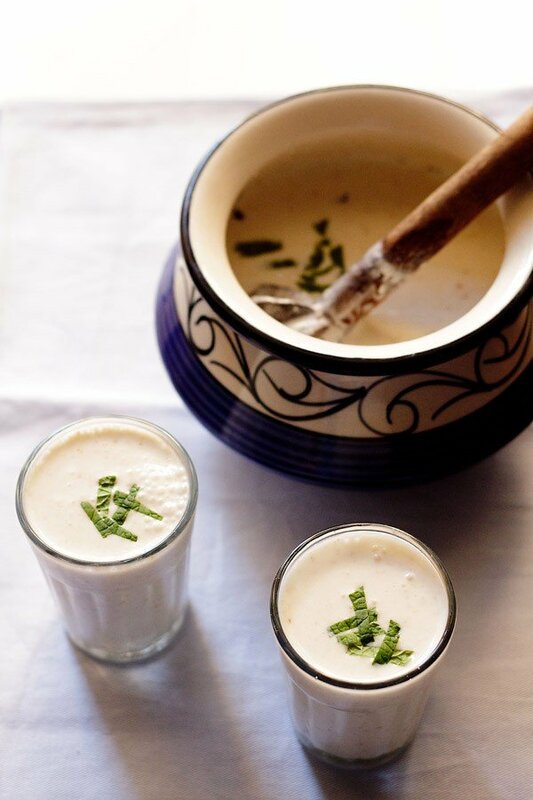 lassi is a standard drink on the holi menu and yes sometimes with bhang. in our home we do not add bhang to the lassi, but most folks do. for the uninitiated… bhang is an intoxicant and is made from the leaves and flowers of the female cannabis plant. it is very common to have bhang during holi and also during mahashivratri. this one is a sweet recipe for masala lassi and not the salty one. this is my dear friend soma’s recipe again. she would make it for us when she was in india. 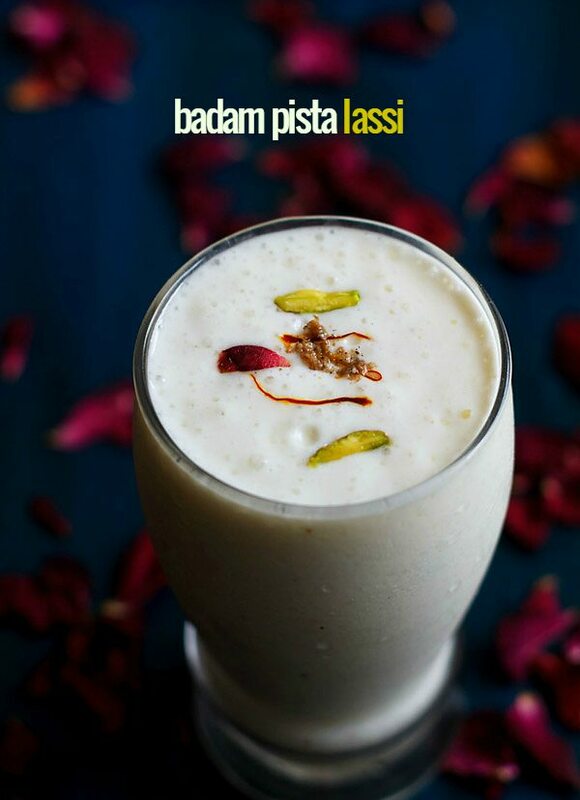 when i first had this lassi, i simply loved it. thats because i like strong and intense flavors… like chocolates… and this lassi has that…. don’t get me wrong. it does not have a chocolate flavor, but it has a strong aroma and taste of a sweet and healthy ingredient about which i will write below. a few spices and they completely overtake the humble yogurt. 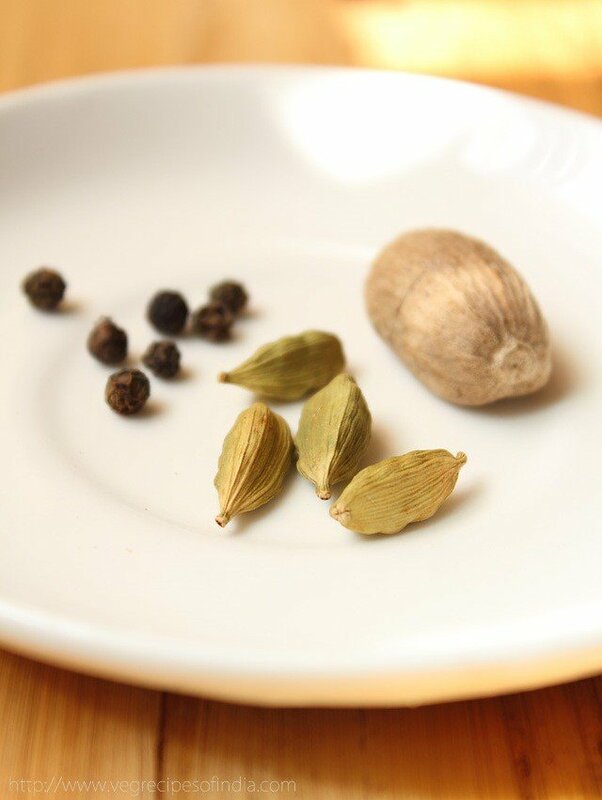 you just have to crush the cardamom in the mortar & pestle. crush the pepper in a peppermill or mortar-pestle. plus grate the nutmeg. so this way, you don’t have any leftover spice powder. the main ingredient which brings out an earthy and an intense flavor in the masala lassi is palm jaggery. 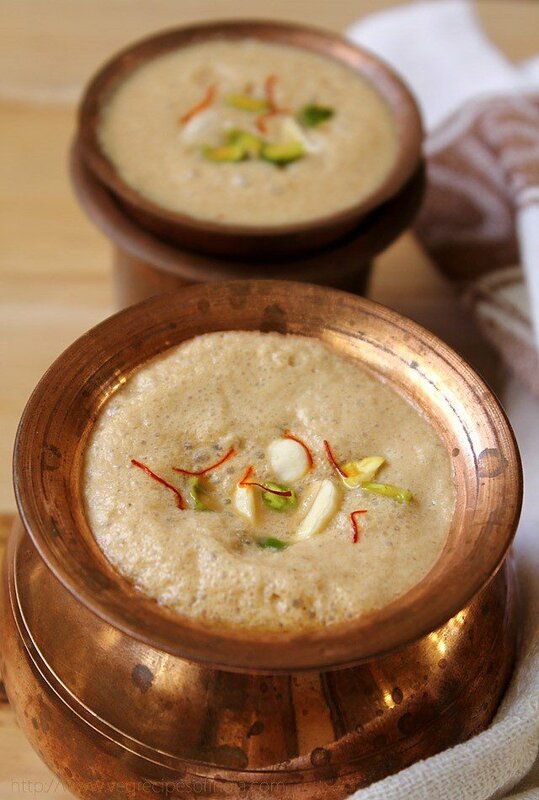 it compliments the spices very well and you have a strong lassi which you are going to love. 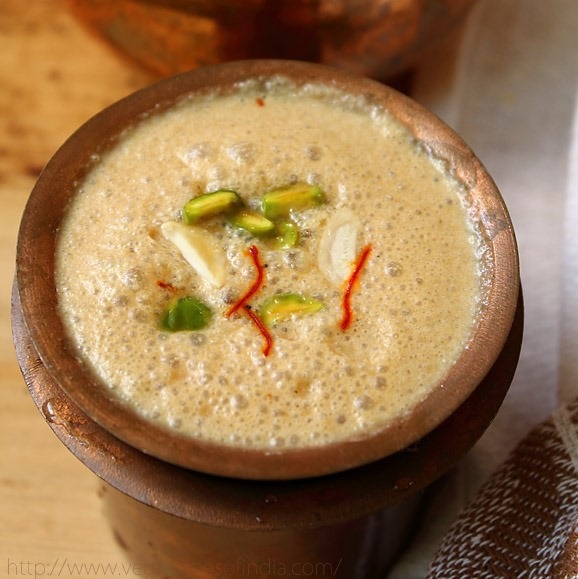 i know palm jaggery is not available everywhere… in this scenario do make the masala lassi with jaggery. 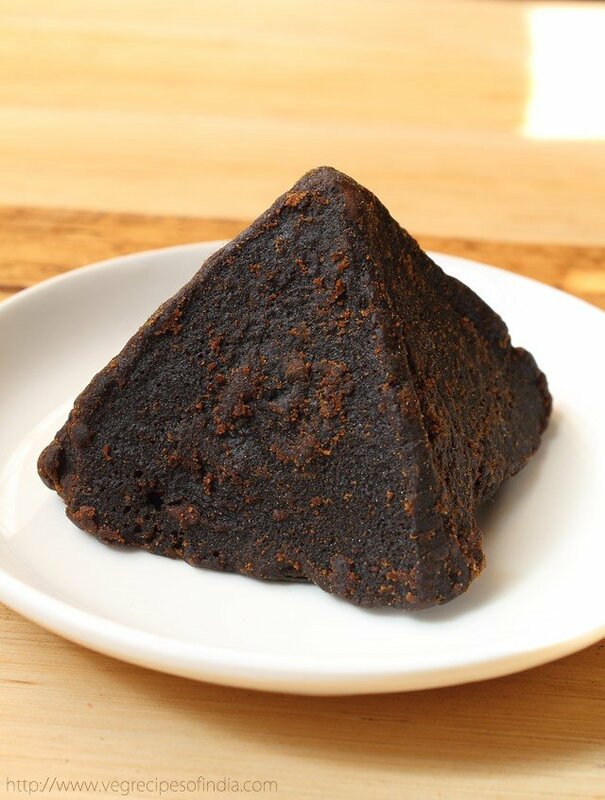 although palm jaggery has a much different taste than jaggery, but sometimes we have to use substitutes. palm jaggery is a base for most of the goan sweets along with coconut and rice flour. it is also rich in calcium and iron. it can be easily used as a replacement for sugar. 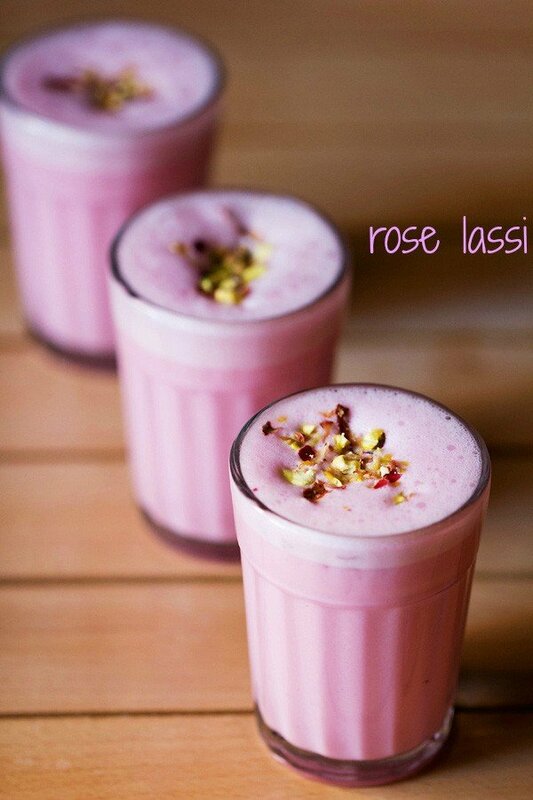 this is an easy breezy lassi recipe and within 5 minutes your masala lassi is ready. 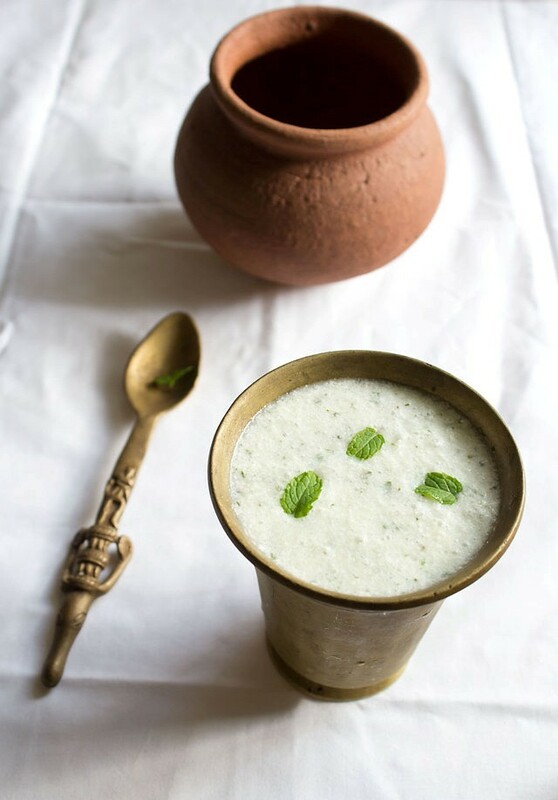 use chilled curd to make the lassi. in this case you don’t have to chill the lassi afterwards and also no need to add ice cubes. you can serve masala lassi directly after blending it. in a blender add all the ingredients along with some strands of saffron. you can add 1 or 2 tbsp of water, if you want a little thin lassi. you can also whisk everything with an egg whisker till smooth. 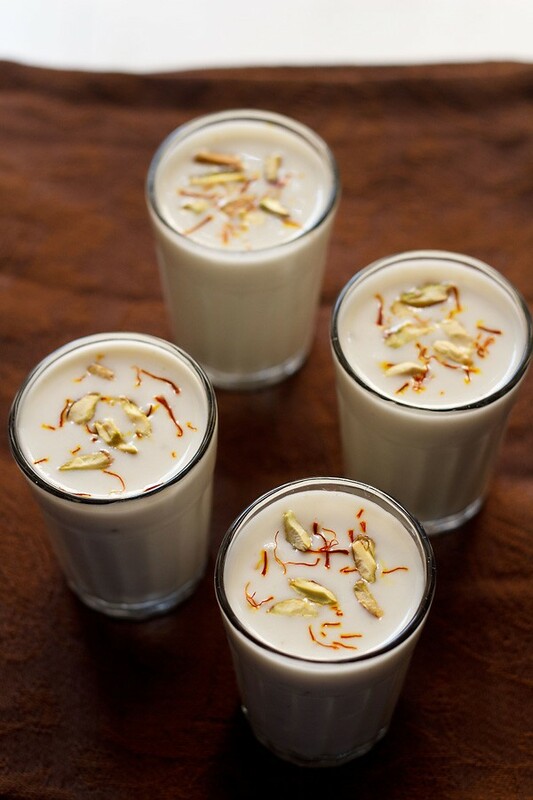 when done serve chilled masala lassi in glasses, topped with some dry fruits and saffron and if you like some cream or malai. I love palm jaggery, unfortunately it is not easily available! Looking at the pictures and your recipe I am craving to have a glassful myself! thanks dear. 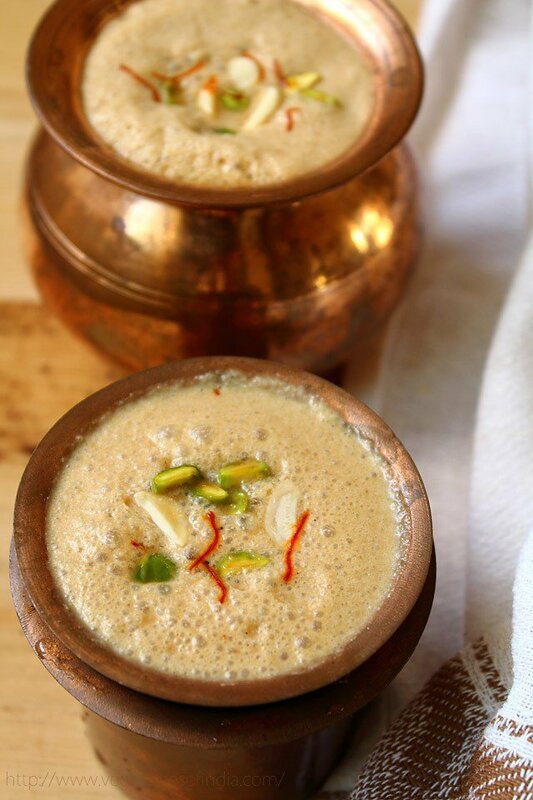 you could also make the lassi with jaggery or cane sugar. this is a very refreshing recipe for holi..what is palm jaggery called in hindi..
dear suhani, i don’t know what is palm jaggery called in hindi. but you can easily identify palm jaggery from jaggery. it is dark in color and has a strong taste. Loved it and the idea of using palm jaggery is fantastic! 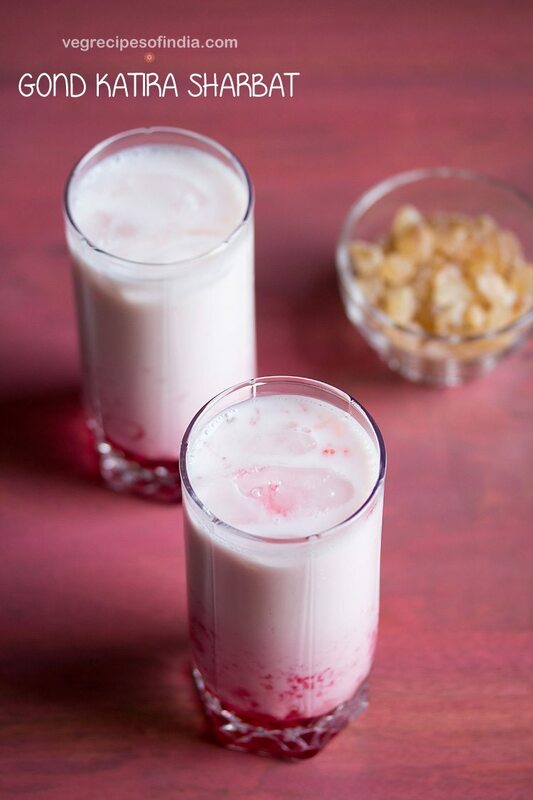 that lassi looks amazing,.. reminds me of good old holi days.. we dont have palm jaggery here but i do have regular dark brown one.. but i will make some of this with the coconut yogurt i have recently become a fan of! sure richa and do let me know when the you make the lassi.